We are so excited about TEXT ME BABY ONE MORE TIME, a new laugh-out-loud funny romantic comedy from Teagan Hunter. Be sure to grab your copy today! I love you, he said. 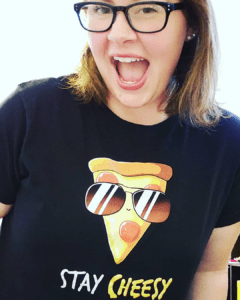 When he leaves me high and dry after a cross-country move, I push him out of my life as much as I can, which is hard to do when the guy who broke your heart also happens to be the most famous dude in town. After a disastrous year, he’s aiming to rehab his reputation, and I just so happen to be aiming for a promotion at the paper. So, we strike a deal, and it’s a win-win all around. Besides, what’s the harm in a few dates to charity galas anyway? He’s arrogant, a total jerk. There’s no way I’ll fall for him…again. I used to love him. Now I hate him…I think. 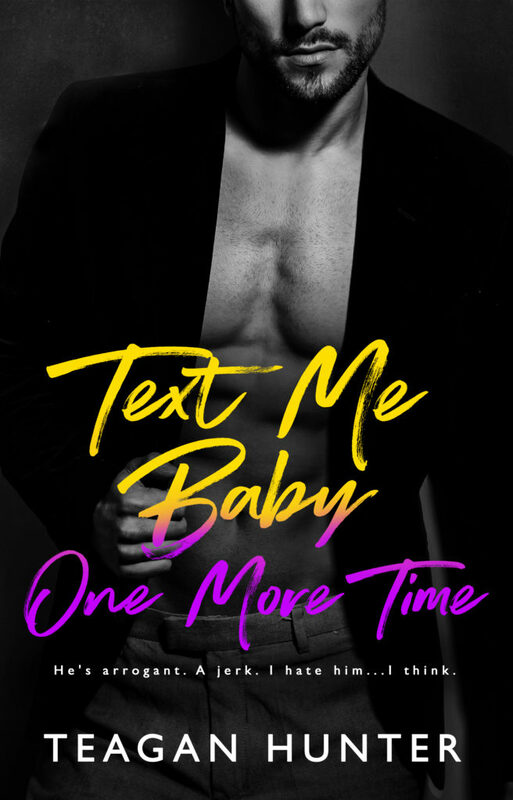 Add TEXT ME BABY ONE MORE TIME to your Goodreads TBR! Get TEXT ME BABY ONE MORE TIME on Amazon! Don’t miss the other books in the Texting series! TEAGAN HUNTER is a Missouri-raised gal, but currently lives in North Carolina with her US Marine husband, where she spends her days begging him for a cat. She survives off coffee, pizza, and sarcasm. When she’s not writing, you can find her binge-watching various TV shows, especially Supernatural and One Tree Hill. She enjoys cold weather, buys more paperbacks than she’ll ever read, and never says no to brownies. For more information, please visit http://www.teaganhunterwrites.com. The hero comes across as arrogant and self centered but once you get to know him you understand why he is the way that he is. The heroine is feisty and fiery, and she doesn’t take crap from anyone and that includes the hero. They have a past until the actions of the hero drove a wedge between them that hasn’t been bridged. Five years later he is back in town and fate has thrown them together. They work out an arrangement that is beneficial to both of them, what could possibly go wrong? This is a friends to enemies to lovers story as well as a second chance at love. The hero is determined to get the girl back and she makes him want to be a better man. It is a fun and flirty story filled with humor, emotion and romance. Although it is sad to see this series end it definitely ended on a high note and it was great to reconnect with the other characters we know and love in this series.